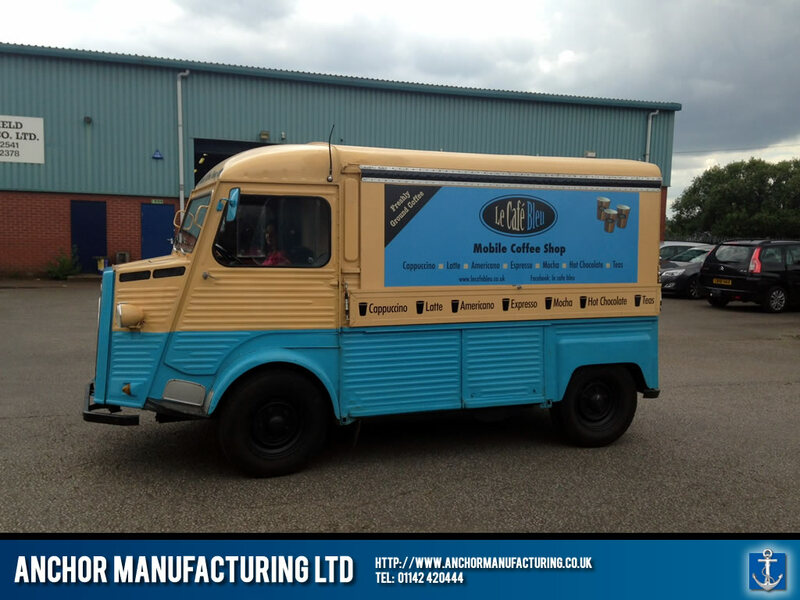 Le Café Bleu arrives for a special Anchor Manufacturing LTD retrofit! 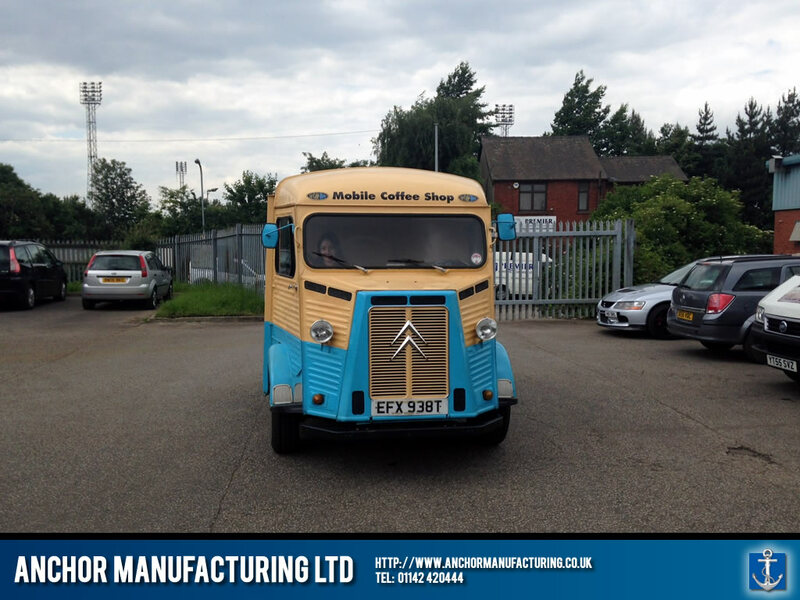 Le Café Bleu is a fun mobile coffee and snacks shop, operating from a van…… and she’s called ‘Betty’!! 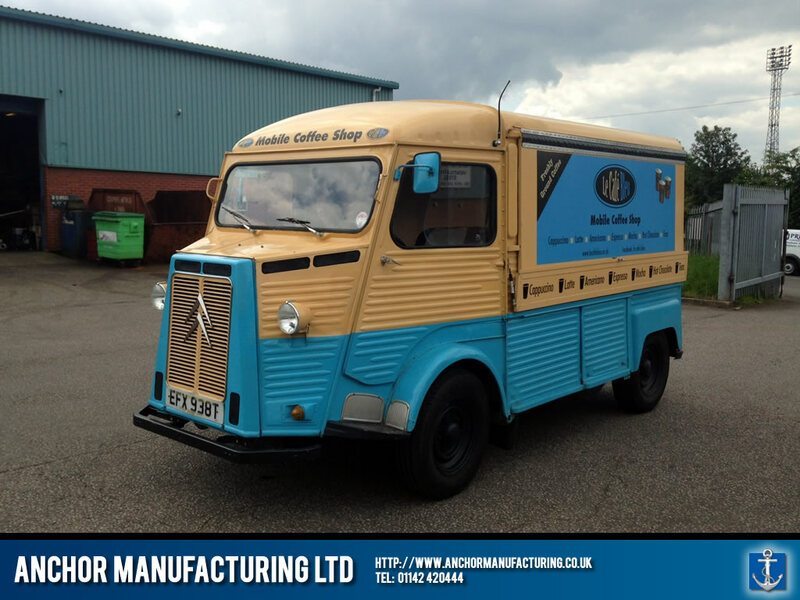 Betty is a 1979 vintage French Citroen HY van. She has bags of character that attracts her very own audience by how unique she is, she even has her own Facebook page. 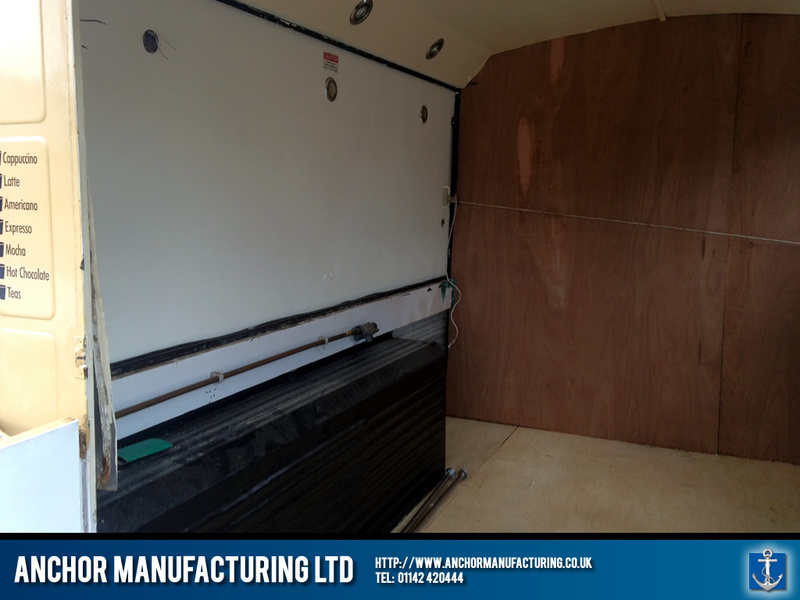 Anchor Manufacturing LTD have retrofit this unique Catering vehicle with Sheffield stainless steel including steel shelving, steel wall cladding and steel flooring giving Betty a professional makeover. 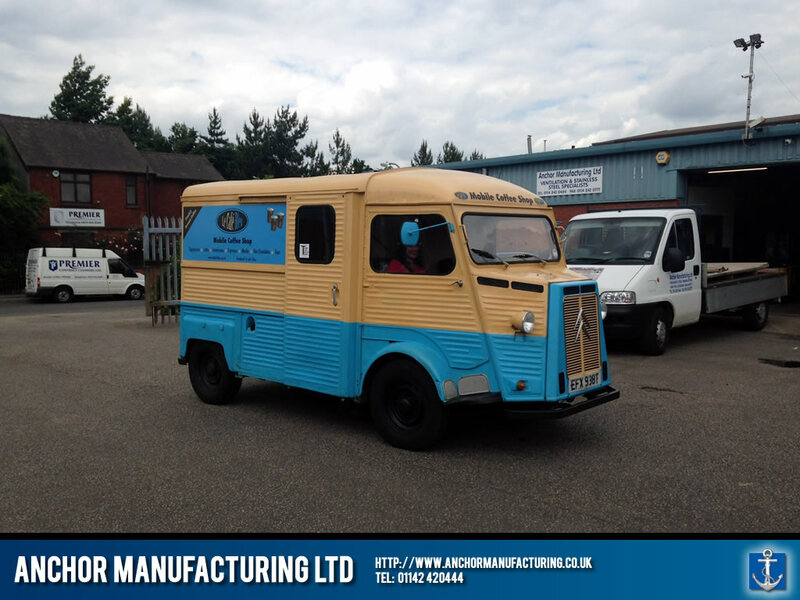 You can see Betty in action here. 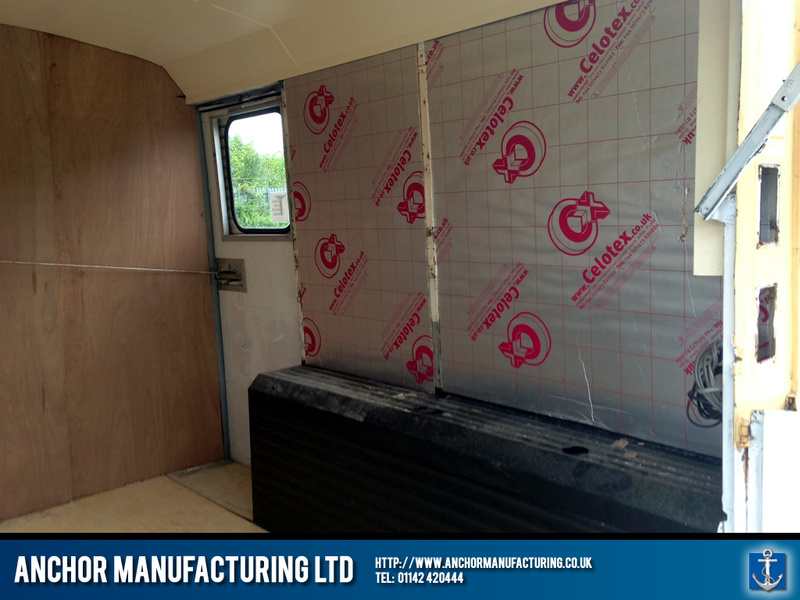 More pictures to follow soon!